The Wide Angle PIR Sensor features a larger detection angle of 180˚. The Wide Angle PIR Sensor is a pyroelectric device, and it detects motion by sensing changes in the infrared levels emitted by surrounding objects. 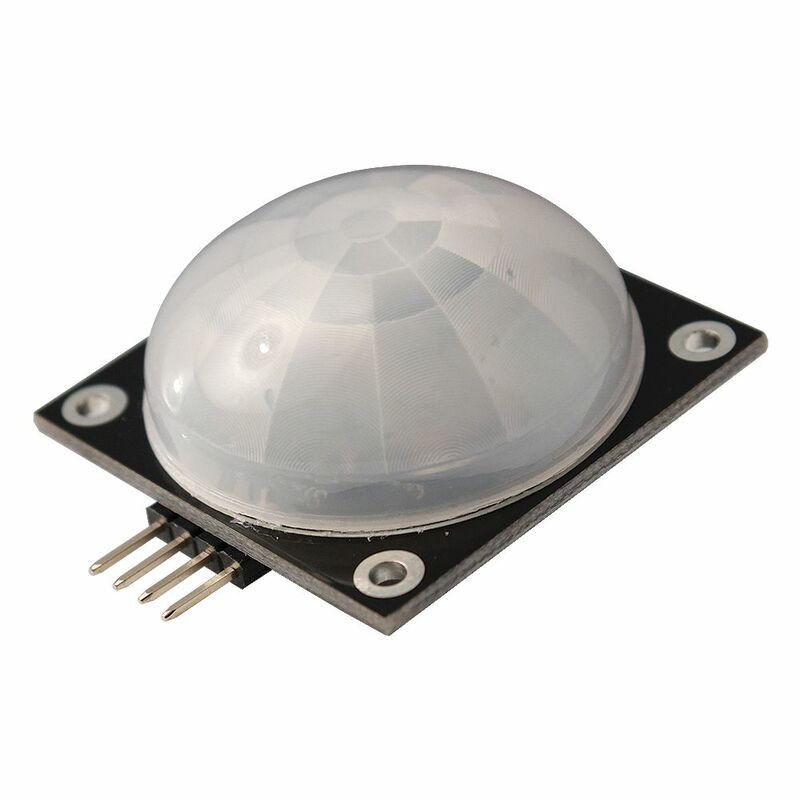 When motion is detected, the Wide Angle PIR Sensor outputs a high signal on its output pin. 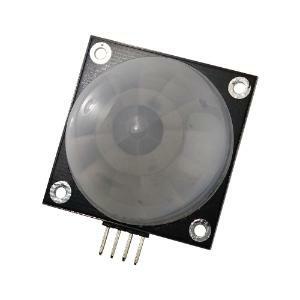 This makes it ideal in applications where users need to track movements across a large, open area.